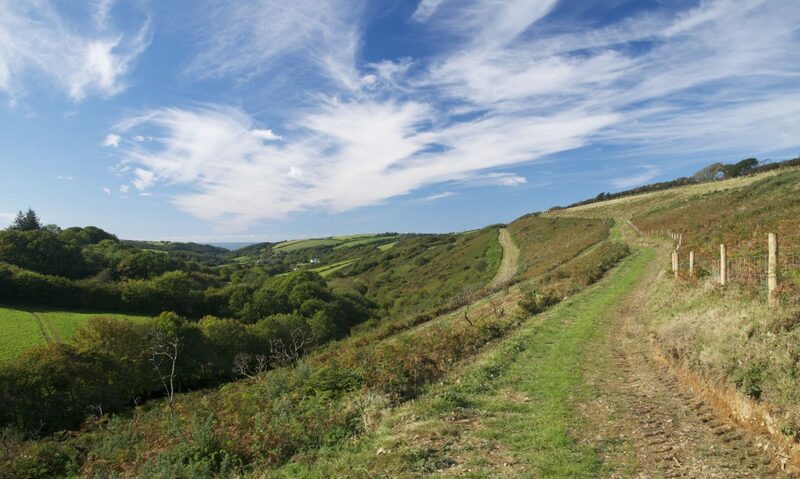 The half term has ended but the weather remained warm and dry for our children’s nature events on Kilkhampton Common. Families walked and explored the many nature trails. 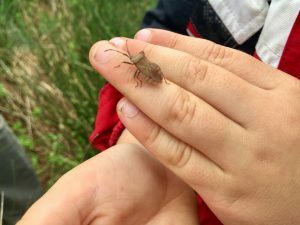 With our bug hunting kit, we discovered an array of minibeasts such as slowworms, caterpillars, and insects. 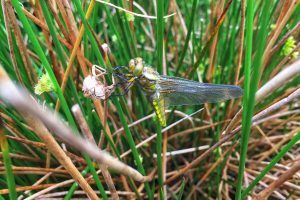 Around the wildlife ponds, we also found emerging dragonflies from their nymph stage. 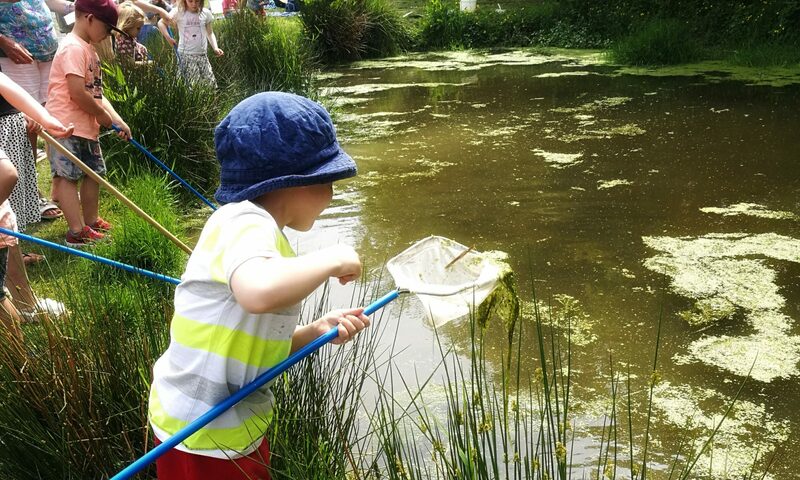 Pond dipping took place on the lower wildlife pond on the Common. 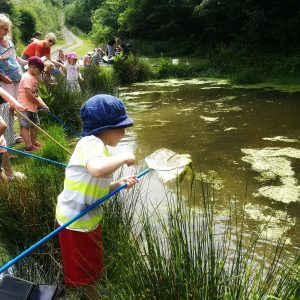 Using nets, buckets, and sampling trays, children caught and identified newts, dragonfly nymphs, water snails and whirlygig beetles. Thank you to everyone who came along. 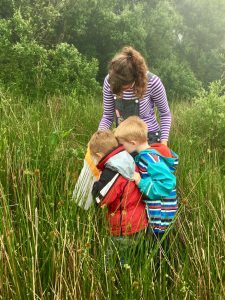 Future pond dipping and bug hunts will take over the summer holidays. Please keep an eye out on the website and social media for details soon. These events would not be possible without the support from the Postcode Local Trust, which is a grant-giving charity funded entirely by players of People’s Postcode Lottery.